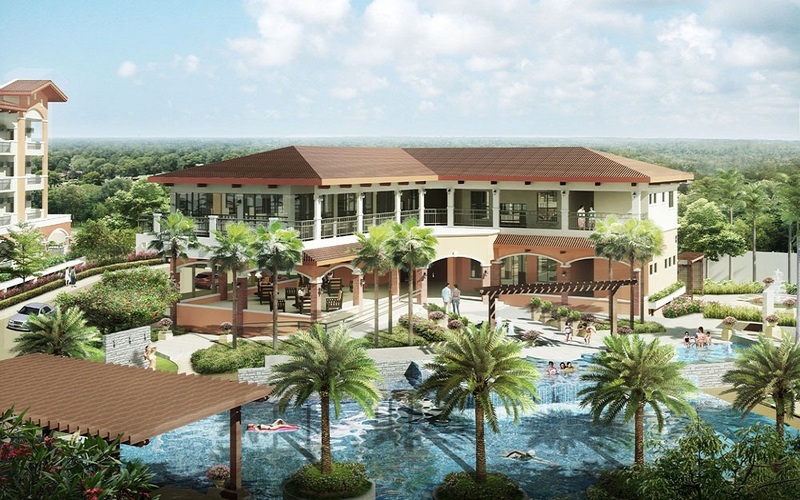 A Vacation that lasts a lifetime, Maricielo Villas puts forward an invigorating mix of resort living amenities that you can share with family and friends. 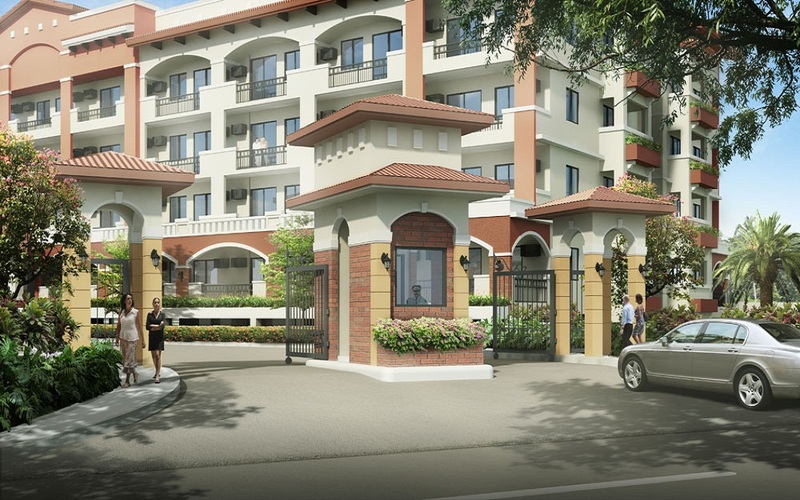 It is a home that de-stresses you every single time you walk out the door for a rejuvenating stroll around the amenities complex. Maricielo Villas puts forward an invigorating mix of resort living amenities that you can share with family and friends. 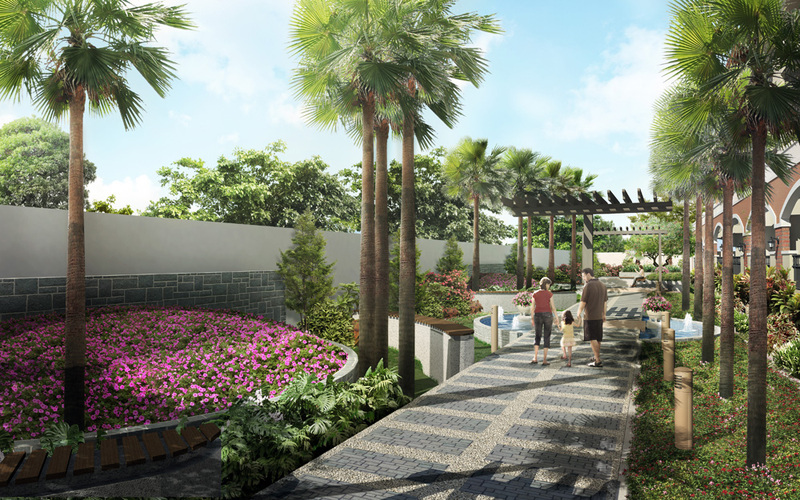 It is a home that de-stresses you every single time you walk out the door for a rejuvenating stroll around the amenities complex. 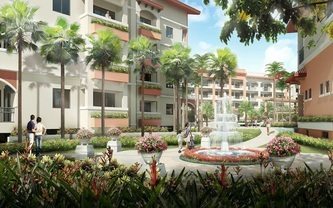 Being another innovative DMCI Homes project, Maricielo Villas has the unique DMCI Homes Resort Living Signature Features: Breezeway, Garden Atrium, and Single Loaded Corridors. The Spanish Mission Architecture blends in seamlessly with the Las Pinas City government requirement to restore the historical area and to help in promoting the officially declared National Cultural Treasure: Parish Church of St. Joseph’s Bamboo Organ, by blending in the area. Maricielo Villas’ distinct Spanish Mission Architecture is reminiscent of summer vacations spent soaking up the sun and lazy afternoons spent catching up with friends over lemonades. 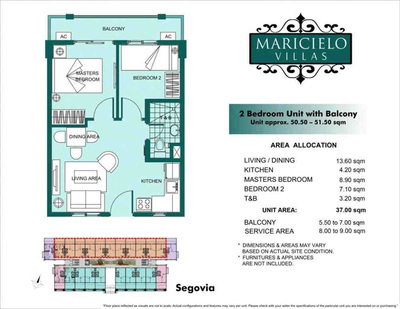 Maricielo Villas is located at the corner of Quirino Ave., and Casimiro Ave., Las Pinas. It is approximately 300 meters near the Alabang Zapote Road, and 1km near the C5 Extension Road. 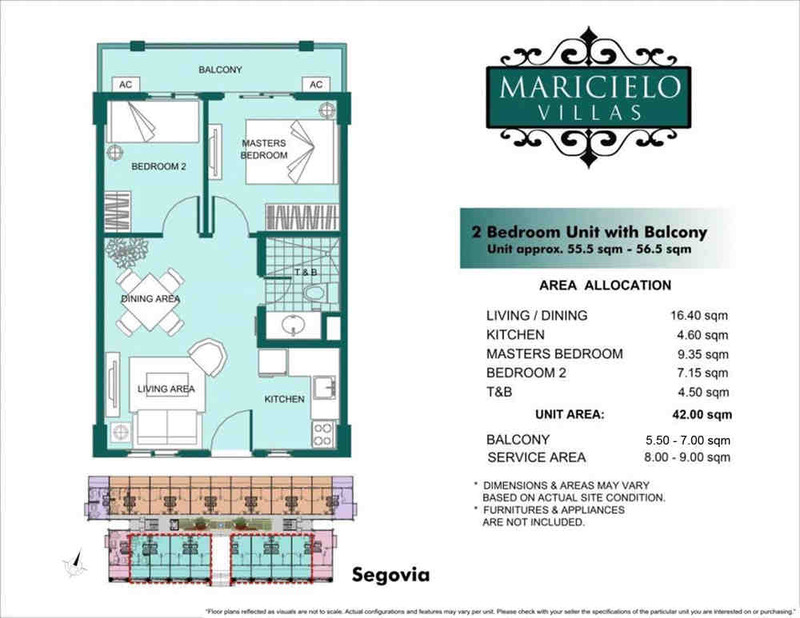 Maricielo Villas has 4 major access routes: Quirino Avenue, Alabang Zapote Road, Manila-Cavite Coastal Road, and C5 Extension are the major thoroughfares that lead you so you can be at work with minutes to spare to get your cup of coffee or catch up with your colleagues. 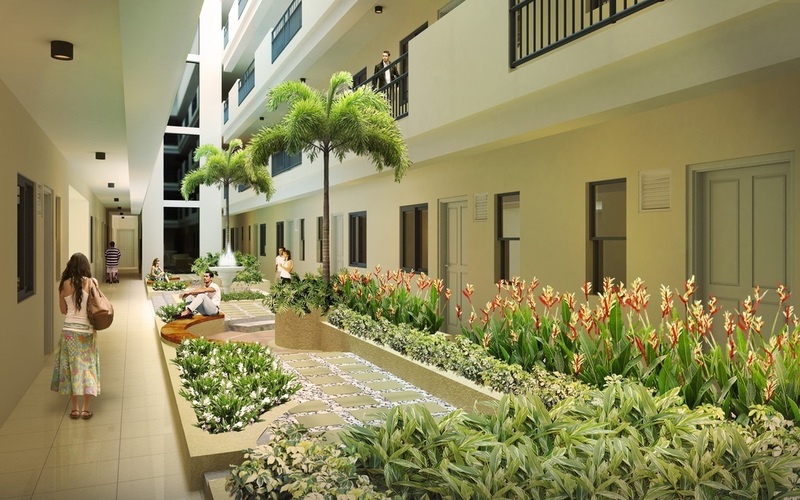 DMCI Homes is the country’s premiere triple A builder and developer that provides upwardly mobile young families with high quality, safe homes in fully serviced communities near the urban areas. With more than 50 years heritage of building some of the country’s most recognized landmarks, DMCI offers the same expertise and world-class standards in every DMCI Homes Project. 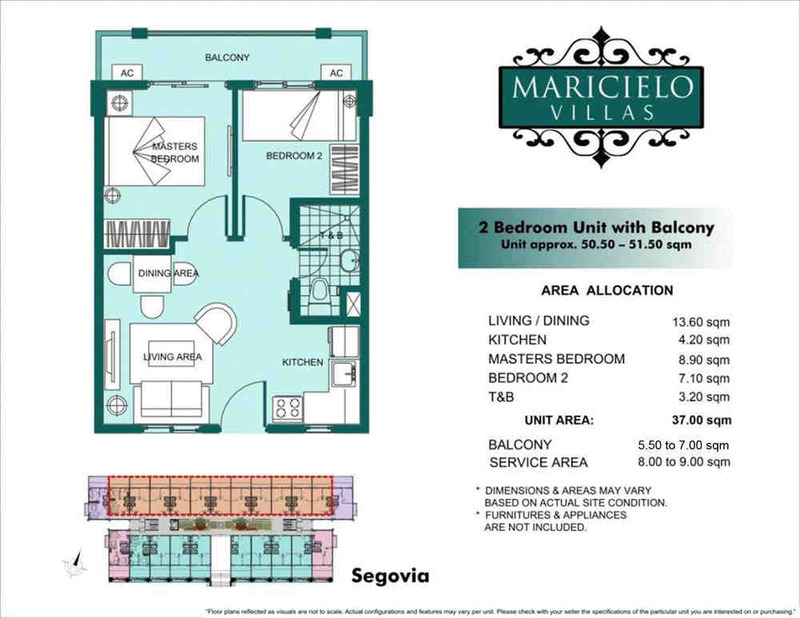 Maricielo Villas gets you as far away from the hustle and bustle of urban living so the stresses of the commute and the long drives melt away as you come home, yet still be accessible to the conveniences of city living. 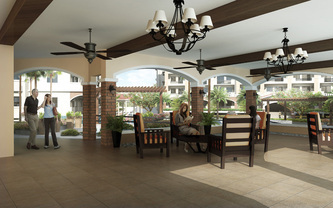 Your home is a springboard where you can be in your destination with minutes to spare. 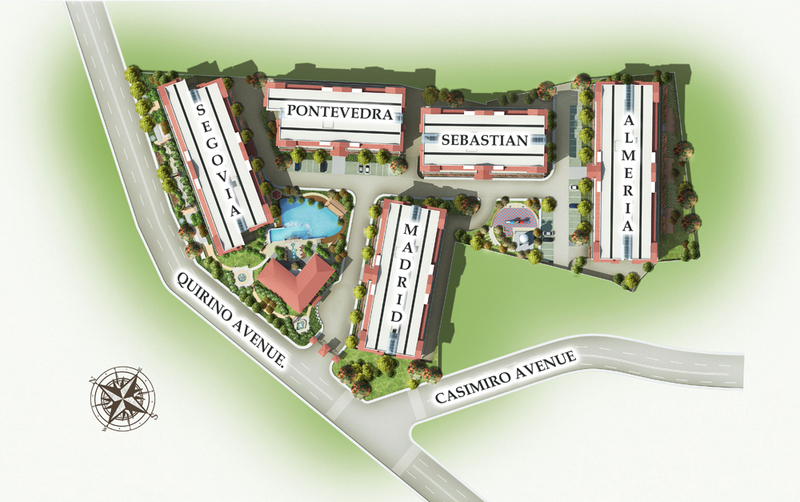 The only development in Las Piñas that lets you enjoy our rich Hispanic heritage with the modern comforts of home. 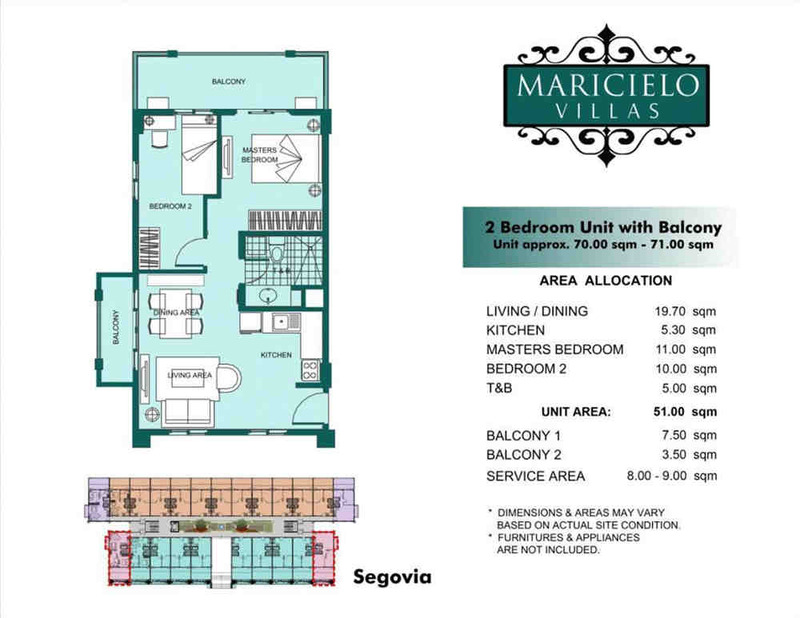 Maricielo Villas consists of five (5) mid-rise buildings named after cities and provinces in Spain, namely: Segovia, Pontevedra, Sebastian, Almeria and Madrid. Segovia is made up of four (4) residential floors while the other buildings have five (5) residential floors. 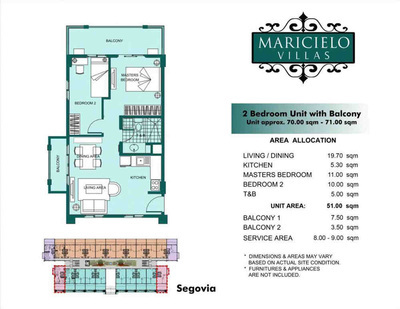 Every Maricielo Villas' building is developed with you in mind. 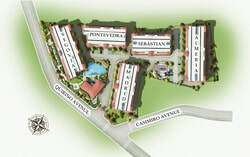 Prices and availability of offerings are subject to change without prior notice. 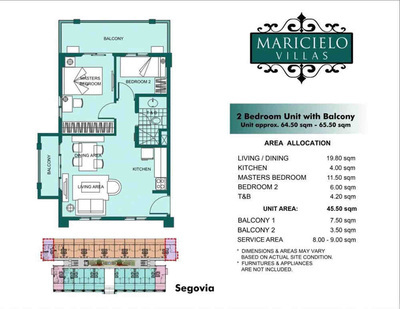 Maricielo Villas' units are efficiently space-planned with your comfort in mind. 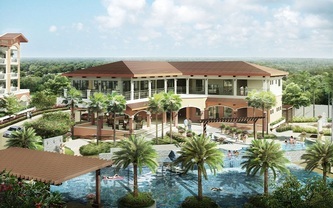 A vacation that lasts a lifetime. 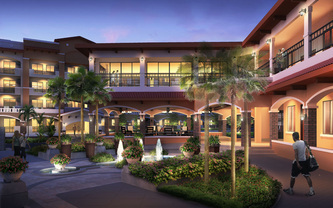 Maricielo Villas puts forward an invigorating mix of resort living amenities that you can share with family and friends. 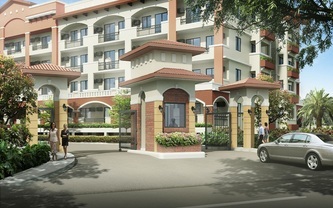 It is a home that de-stresses you every single time you walk out the door for a rejuvenating stroll around the amenities complex. 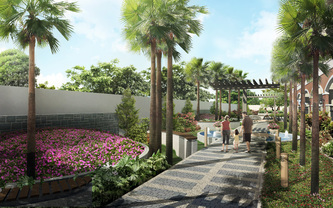 A helpful guide through the process to owning as well as maintaining your dream DMCI Home.